A fabulous start to the New Year - I have been commissioned to speak to a conference of IFAs on the 18th January. 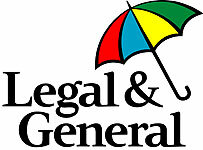 As I really like, I have been invited to take a full face-to-face briefing in L&G's offices in the City district of London (know as the square mile for the most prosaic of reasons). It's doubly exciting for me as my old advertising and marketing agency had a particular specialism in financial services so I know the market well and understand the challenges facing this highly skilled profession. Interestingly the conference will actually be taking place in the National Motorcycle Museum in Birmingham.